This week on the WineGuyMike™ Radio Show© Simple, fun, fizzy, refreshing, inexpensive do I even need to say another thing? Well not really but please indulge me because I just have to. Today I bring you Lambrusco, say that three times, it just sounds cool. Italy’s coolest red juice and I’m not talking about one of televisions most famous of tag lines “Riunite on Ice, That’s Nice” Yes that’s right your Grandma’s Lambrusco, Riunite, is still claiming to be the biggest selling Italian wine in history here in the United States. Speaking of your Grandmother I’m not kidding Riunite Lambrusco was launched in the late 1960’s and what now seem like cheesy commercials ran on TV in the 70’s. Cheesy or not that famous tag line is one of the most memorable ever, at least for those of us old enough to remember. But the truth is this brand enjoyed one of the most well executed marketing campaigns ever. That was yesterday and today, well it’s today and Lambrusco has come of age and I’m here to share it with you. There is not anything to complicated or technical that we need to know in our approach to buying, chilling, and drinking Lambrusco. In fact Lambrusco is rather simple and ultimately the secret to a great one is one that produces a great head of foam when you pour it, yes just like a great beer. Selections will unfortunately be limited on your local shelves unless you live in an area that has a great wine shop. If you live in the east you will have a better shot at a good selection wherever you have a concentration of die-hard Italians like me that secretly love Lambrusco. More and more you will find a few Lambrusco lovers who are so incredibly passionate about this gem from the Emilia-Romagna region in the heart of Italy that you just have to give it a try. This is what is what I’m suggesting for you to do. This sparkling wine is beautiful in your champagne flute or your white wine glass, remember the rules on the WineGuyMike™ Radio Show© oh that’s right this is no rules wine fun, sharing, and learning with and from one another. I recommend a flute as it is the type of glass that will allow your Lambrusco experience to be the best that it can be. So here’s the 411 on Lambrusco as I know it; The Emilia-Romagna region is located between two of my favorite areas in Italy. Parma which is home to some of my favorite raw cow’s milk cheese Parmigiano-Reggiano, yet another wonder of the world I can not live without. On the other side of Emilia is probably one of the most iconic areas of Italy, Modena. 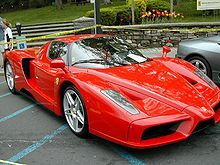 Forgive me for being such a guy here but we are talking about the birth place of Ferrari. Yes I dream of such things only because it doesn’t cost anything. No I haven’t driven one, but I have touched one and I think that counts for something. Perhaps it counts for good taste which I hope I share with you when it comes to wine and food. Italian winemakers produce a large range of Lambrusco wines when it comes to Lambrusco. If you shop at a nice specialty shop and they take their wine program seriously it is somewhat safe to assume they have chosen a good selection of wines for you to purchase. The best Lambrusco’s are going to be dry and made in a frizzante style. There are three colors of fizzy Lambruscos: white (bianco), rose (rosato) and the classic red (rosso) that range from sweet to bone dry. If you are familiar with another Italian favorite, Prosecco, Prosecco is mainly produced as a sparkling wine in either the fully sparkling (spumante) or lightly sparkling (frizzante, gentile) styles. Proseccos are labeled “brut”, “extra dry”, or “dry”, with the brut being the driest. Ask you wine steward of the store you shop in for the driest Lambrusco in a frizzante style that they offer for sale. Lambrusco is made using the Charmat method rather than the Champagne method, the French method of making sparkling wine. The Charmat method is a second fermentation in pressurized tanks rather than in individual bottles. The shorter, tank fermentation is preferable for Lambrusco because it preserves the freshness and the flavor of the grapes. Unlike Champagne, Lambrusco does not ferment in the bottle consequently the wine goes off or gets old quickly and should be drunk as young as possible, preferably within one year. What I love about Old World European wine is that they are a function of necessity. The wines in each area are made to work with, match, or pair with the foods that are grown and raised there. Lambrusco is no different and in the Emilia-Romagna region their food tends to be rich, salty and that is why Lambrusco works so well with these foods. Lambrusco wine is lively and bright with fruit, balanced out with naturally high acidity which embraces the beautiful food dishes from this area. Lambrusco like all Old World style wines are not overdone when it comes to percentage of alcohol. This is great so you don’t go into a food and wine coma after indulging in the splendid luxuries of life. The really terrific thing to note about Lambrusco is that you will be hard pressed to ever find one more expensive than $20.00 and most are just over $10.00. Wow that works in this economy for my pocket-book. What to expect from a good Lambrusco; fresh, fruity, dry, tannic, nice acid, beautiful fruity nose, frothy, nutty, grapy, jammy, fun, and refreshing. All this and it’s inexpensive too, really what more could you want? This is a great wine to try that I whole heartedly recommend with all of my love and passion. “Mikey likes it”, remember Mikey on TV? I do if I had a penny for every time I’ve heard this in my life I’d be a wealthy man driving the Ferrari and drinking my dry frizzante Lambrusco on my way to get my fresh sliced hunk of Parmigiano-Reggiano to have with my Lambrusco. This Lambrusco was fantastic with my dinner, and again it was so nice that the alcohol level was restrained. I still felt alert after eating which was so refreshing. Speaking of refreshing this sparkling gem from Italy was so nice to taste. 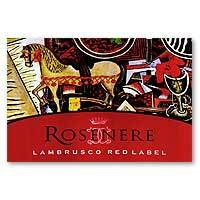 The Rosenere immediately shows beautifully in the glass, a rich and lovely deep purple color with perfect frothy head. Remember this is what a good Lambrusco should have and even as this wine sits in between sips and you give it a swirl the nice frothy head returns immediately. This is a very nice Lambrusco that I can recommend for you and the nice part is that it retails for $11.00 at my favorite Italian deli/speciality shop in Missoula, Tagliare Delicatessen. 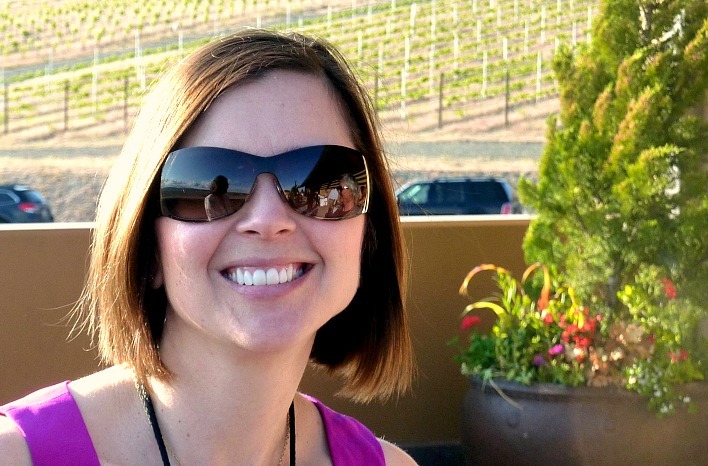 This week on the WineGuyMike™ Radio Show© meet Sherri Swingle, Executive Director for Auction of Washington Wines. This wonderful event is one of the most anticipated wine events of the year in Washington State. The Auction of Washington Wines takes place August 18th through the 20th. 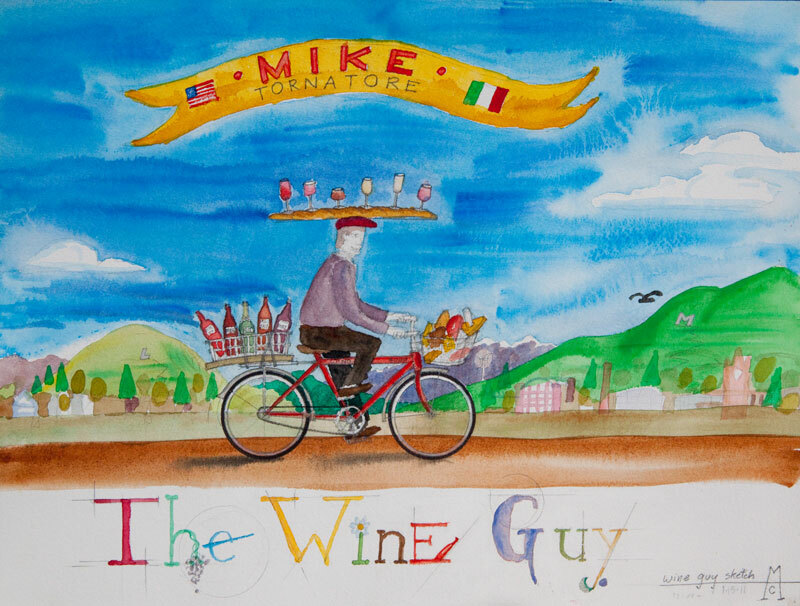 The auction is yet another example of good people doing great things with wine and I’m grateful that Sherri Swingle could join me as WineGuyMike™ featured guest this week. As I know you can imagine she is extremely busy with all the last minute details in next ten days when the event begins. Let me give you a little background on the event, its beneficiaries, and the Washington State Wine Country also. The Auction of Washington Wines truly celebrates the Wines of Washington State to benefit Seattle Children’s Hospital and the Washington Wine Education Foundation. It’s one of the most anticipated events of the year and this fun-filled event showcases Washington State’s growing wine industry with four days of sipping, tasting and partying with nearly 3,500 individual and business participants. It all benefits Uncompensated Care at Seattle Children’s Hospital and the Washington Wine Education Foundation. The Auction of Washington Wines is an annual event held in Washington State that benefits uncompensated care at Seattle Children’s Hospital and the Washington Wine Education Foundation. Originally created by a partnership between the Washington Wine Commission and the Enological Society of the Pacific Northwest, the Auction of Washington Wines is now structured as an independent entity. Northwest Wine Benefit Foundation, the official name of the organization, is a 501(c)(3) non-profit organization that was established in 1988. Since 1988, Chateau Ste. Michelle has hosted the auction, which has grown dramatically in attendance and dollars raised in each of its 23 years. In 1988, slightly more than 100 people gathered at the Chateau for the first Auction of Washington Wines, raising more than $20,000. Today, the event is comprised of five events over four days with a total attendance of approximately 3,000 people and a fundraising total of more than $24 million. Washington States wine industry is the fastest growing agricultural segment in the state with the number of wineries seeing a 400% increase over the last decade. Washington sees an extra two million dollars directly related to wine tourism in the state. Washington State is blessed with great terrior for grape varietals that an experienced viticulturist recognizes as perfect for the grape type. The states latitude is very similar to that of a couple of other great wine growing regions you may recognize, Burgundy and Bordeaux in France. These famous regions in France sit at approximately 46ºN latitude as do the 11 AVA’s (American Viticultural Areas) of Washington State. Grapes were first grown in Washington State in the early 1800’s by immigrants from Italy, France, and Germany. Italian and German grape varietals were planted and vineyard acreage saw rapid expansion in the early part of the 20th century. Over time and given understanding of all the particular grape growing areas within the state wines are being produced that now Washington State must be recognized as one of the premier wine growing regions of the world. Most of Washington’s grapes are grown on the east side of the Cascade Mountains, about 99% in fact. Ten of the states eleven AVA’s are located on the east side of the mountains in the Columbia Valley. The Columbia Gorge AVA runs west and south from the west edge of the Columbia Valley AVA following the Columbia River in Washington and Oregon. The Columbia Gorge AVA can perhaps produce more grape varietals that any other region in the world due varying micro-climates along the Columbia River. The other well known sub-regions of the Columbia Valley AVA include, Walla Walla Valley AVA, Red Mountain AVA, Yakima Valley AVA, Rattlesnake Hills, Horse Heaven Hills, Snipes Mountain, and one of my favorite wine growing areas the Wahluke Slope. There are a couple of up and coming areas in Washington State too; Lake Chelan AVA which is located in the north-central part of the state that also borders the Columbia River, near Wenatchee which produces amazing fruit. It is one of my favorite areas to travel through. As you graze your way through the area from fruit stand to fruit stand the area’s natural beauty features steep slopes with all types of fruit trees and the majestic Columbia River. Both of these areas have applied for distinct AVA status so they can be recognized separately from the Columbia Valley AVA. Now let’s get to the important part of this story, the individual happenings within this wonderful benefit event known as the Auction of Washington Wines. I’ll set these up in the order in which they all happen for you. The Red Mountain AVA was established in 2001 on the eastern edge of the Yakima Valley. There are 1,199 acres of grapes planted in this region on steep slopes that face Southwest toward the Yakima River. There are 20 or so wineries in this area and their focus are on the Cabernet Sauvignon, Merlot, Cabernet Franc, Syrah, Sangiovese, Malbec, and Petit Verdot varietals. Revelry on Red Moutain was held at the Col Solare Winery and 300 guests were WOW’d with area winemakers on the terrace of Col Solare for panoramic views of Red Mountain. Revelry on Red Mountain was a tremendous success, raising over $24,500 for uncompensated care at Seattle Children’s Hospital and the Washington Wine Education Foundation, which supports industry programs such as viticulture and enology at Washington State University. The beautiful evening at Col Solare set the stage for attendees to experience some new wines while making new friends and mingling with our 20 fabulous Red Mountain wineries. The Who’s Who from Revelry on Red Moutain …Andrew Will (made by our 2011 Honorary Vintner, Chris Camarda), J. Bookwalter Winery (a winery started by our 2011 Honorary Grower, Jerry Bookwalter), Col Solare, Cooper Wine Company, Corvus, DeLille, Fidelitas, Gamache, Goedhart, Grand Reve, Hedges (pioneers on Red Mountain), Hightower Cellars, Kiona, Mark Ryan, Obelisco, Portrait, Quilceda Creek, Seven Hills, Tapteil and Terra Blanca. The Picnic & Barrel Auction will feature a myriad of activities on the grounds of the beautiful Chateau Ste. Michelle Winery. Participants will rub elbows with Washington winemakers as they mingle among the crowd to pour tastings of their newest and oldest releases. Guests will enjoy bidding on some of Washington’s most coveted limited-release wines during the exciting Barrel Auction while enjoying gourmet picnic fare presented by the talented team of chefs from Tulalip Resort Casino. Twenty-five of our state’s finest vintners will be offering samples of their still-aging wine from a future barrel for you to taste and to buy. When you find a wine you like and are ready to bid, simply write your bid number and name on one of our wooden placards and give it to our volunteers. It will then be placed on the bid board for that winery. Each winery will offer five cases and at the end of the auction, the top five bidders will win one case each. WOW! John L. Scott Foundation will be challenging bidders to bid high during the Barrel Auction. For every barrel that gets bid to its fair market value, John L. Scott Foundation will donate $1,000! These intimate dinners held at private estates, wineries and area restaurants are a favorite part of this weekend. Enjoy the company of Washington winemakers whose wines are paired exquisitely with a gourmet meal created by a guest chef. Chris Camarda, our 2011 Honorary Vintner of Andrew Will Winery, along with fellow vintner Rob Newsom of Boudreaux Cellars invite you for an unforgettable evening under the stars among old friends. The setting is the gorgeous home of Jen and Len Jordan overlooking the Puget Sound on the western edge of Magnolia. Enjoy the sunset while Chef Lauri Carter and owners Jill Buchanan and Matt Janke of Lecosho orchestrate dishes to complement the wines of their old friend, Camarda. It is an evening to celebrate fine wines and notable winemakers. You’re invited to experience the best show in the South Sound! The Canterwood Golf & Country Club and Brix 25 in Gig Harbor, come together for an evening you won’t forget! This dinner brings together two of the South Sounds finest Executive Chefs, Dino Cruz from Canterwood GCC and Thad Lyman from award winning, Brix 25 for a Throwdown. To add to the excitement, we’ve challenged four of Washington’s winemakers – Randall Hopkins of Corvus Cellars, Heather Neff of Nefarious Cellars, Ned Morris of Reasons Wine and Gordy Venneri of Walla Walla Vintners – to an extravagant five course food and wine Throwdown. At the end of the dinner, you’ll vote on your favorite. The south sound won’t be the same after this history-making evening of battling Chef’s and winemakers! Be WOW’d at your ability to run, walk or crawl through a 5K or 10K course in the beautiful Woodinville wine country. Great fun for the whole family. Presented by The Run for Children’s Guild, the 5th Annual Covey Run will take place with more than 1,400 runners and walkers. To participate as a sponsor, or for more information contact Aileen Kelly at aileen.kelly@seattlechildrens.org or call 206-987-4816. Be WOW’d at the industry’s original and most celebrated wine party of the summer under the stars on the lawn at Chateau Ste. Michelle. The 24th annual Wine Gala will be held on the grounds of Chateau Ste. Michelle. Guests will enjoy a six course meal prepared by some of the area’s best chefs. Each table will be hosted by a Washington state winemaker, who will pair and pour wines from their collection. Entertainment will include our celebrity auctioneer, Dave Reynolds, as he auctions 30 one-of-a-kind opportunities to experience Washington wine as no others have before. We are proud to partner with Blue Nile as our first ever Diamond Sponsor. Blue Nile will be featured at the Wine Gala where guests will have the opportunity to take home beautiful jewelry gifts and one lucky lady will walk away at the end of the evening loaded with diamonds! Wow! Rich Gray will entertain the crowd with his original compositions during the live auction, and later Ruby Nevada will showcase their hits in the oak aging room. Seating at the Wine Gala is limited. Tickets are $500 per person. Corporate and Friendship tables are available. Please contact us for more information. Formerly a black-tie event, this year will be cocktail attire, no jacket required. Seattle Children’s serves as the pediatric and adolescent academic medical referral center for the largest landmass of any children’s hospital in the country (Washington, Alaska, Montana and Idaho). Uncompensated care ensures that all children in our region receive the best medical care available, regardless of insurance coverage. With the current recession, more families are losing medical insurance and premiums are rising. These unexpected expenses can be quite devistating. When a hospital bill exceeds a family’s ability to pay, Seattle Children’s financial assistance program provides relief. Thanks to you the Seattle Children’s Hospital can bring healing to children and peace of mind to families during difficult times. In 2010, Seattle Children’s provided a record $102 million to service nearly 100,000 patients in uncompensated care alone. It’s a misconception that they treat children from the metropolitan Seattle area only—they are a regional hospital serving Washington, Alaska, Montana and Idaho. Recognized as one of the best in the world and consistently ranked as one of the best children’s hospitals in the country by U.S. News & World Report, Seattle Children’s is recognized internationally for advancing discoveries in cancer, genetics, immunology, pathology, infectious disease, injury prevention and bioethics. Seattle Children’s comprises Seattle Children’s Hospital, Seattle Children’s Research Institute and Seattle Children’s Hospital Foundation. Children’s also serves as the primary clinical, research and teaching site for the Department of Pediatrics at the University of Washington School of Medicine. For more information visit http://www.seattlechildrens.org. Washington State’s wine industry has become an important part of the state economy, contributing more than $3 billion annually and providing nearly 15,000 direct and indirect jobs and wages of $579 million. With more than 650 wineries and more than 31,000 acres in wine grape production, Washington is the second largest wine producer in the nation. The Washington Wine Education Foundation aims to strengthen the quality and reputation of the Washington wine industry by providing support toward a world class enology and viticulture research, education and training program specific to Washington state. I will be featuring wineries and wines from the participating wine producers contributing to this important event. Each day between now and the 18th of August I will share a wine story with you and for today’s blog post I share with you Reynvaan Family Vineyards. 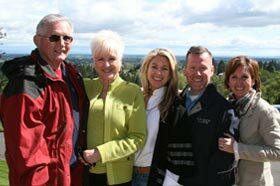 Reynvaan Family Vineyards is a small family owned winery started by Mike and Gale Reynvaan in May 2004 in Walla Walla, Washington. They initially purchased a 37 acre parcel of land on Cottonwood Road at the base of the Blue Mountains. 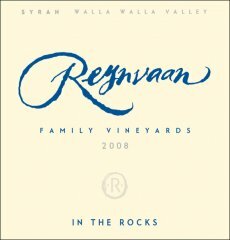 Reynvaan Family Vineyards is dedicated to creating fine wines exclusively from the terroir of Walla Walla Valley. They have two vineyards planted that represent each end of the terroir spectrum. Their first vineyard has 16 acres under vine that they call “In the Rocks,” to demonstrate where and how they were planted. It was first planted in 2005 with the goal to create wines that would clearly express that vineyard’s unique terroir and minerality. They began planting small 5 acre blocks each year to better understand the terrior and choose the best vines for particular locations. 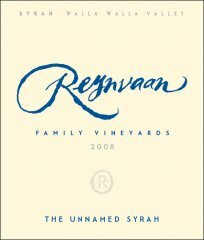 Their first vintage, 2007, comes from that first 5 acres of vines, creating three wines: a Rhone white varietal blend, “Queens Road White”, a Syrah co-fermented with Viognier called “In the Rocks”; and a second Syrah co-fermented with Marsanne called “The Contender.” The vineyard now includes two red varietals: Syrah and Cabernet Sauvignon; plus three white varietals: Viognier, Marsanne and Grenache Blanc. Their second vineyard, “Foothills in the Sun,” was planted in 2007. This hillside vineyard is one of the most densely planted and highest elevation sites in the State of Washington. With vineyard density, the vines seek out water and nutrients, become stronger and produce clusters of small berries with intense concentration. A southwest facing hillside vineyard at this elevation has several advantages: maximum exposure to the sun; substantial temperature variation between day and night; and beneficial wind patterns. The vineyard currently is planted in two red varietals: Syrah and Cabernet Sauvignon; and one white: Viognier. Working with the highest quality Walla Walla grapes grown meticulously in our own vineyards allows the family to control virtually every aspect of farming and wine production and ultimately to respect the natural expression of the soils of the vineyards. The winemaking philosophy is quite simple at Reynvaan Family Vineyards, harvest perfectly ripe clusters that reflect their distinct terroir, guide the wines through a natural upbringing and bottle them only when we feel the true characteristics of the wine have been revealed. The Story; Lush red and vibrant white wines from the Columbia Valley. Located in the Heart of the Columbia Valley, Bookwalter Winery has been producing small lots of high quality wine since 1983. The Subplot number represents how many non-vintage table wines Bookwalter have produced since 1983. Each lot of wine selected for Subplot is carefully chosen each year after they have made their final blends for their top tier wines. They attempt to create a flavorful, full-bodied yet approachable wine by layering vintages, vineyards and varietals in their Subplot wines. Press wine from their oldest vineyards are aged longer in the cellar to help soften the tannins and create more mature flavors and wine from their younger vines and more recent vintages are added to the blend to bring the lush, young fruit characteristics forward in the wine. 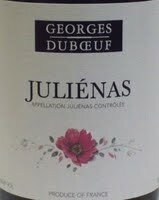 The result is a wine that offers, fruit, structure, approachability and exceptional value. Although these wines are meant to be consumed in their youth, the wines have showed graceful aging potential. Just as it takes great ingredients to make an exceptional meal, a great wine begins with the best grapes. Gramercy Founder and Master Sommelier Greg Harrington spent his career overseeing some of the most prestigious wine programs in the country. His goal was always the same – to find balanced wines with limited new oak influence that taste of a specific place. This ambition continues at Gramercy Cellars. They believe that great wines share common traits – great vineyards, minimalist winemaking, time and patience. Gramercy’s philosophy is simple – to develop or partner with the best vineyards, harvest ripe – not over-ripe – grapes, intervene minimally in the winemaking process, and use as little new oak as possible. They believe that too many wines have excessive alcohol and new oak, are overly fruity and taste as if they could be from anywhere. They created Gramercy Cellars to make different wines that display balance, both fruit and earthiness, restraint and elegance. Their wines may require time to develop and open, but reward patience. This is their passion. At Gramercy Cellars, they seek to produce wines that complement food, provide great pleasure and stand out as uniquely in Washington. Prior to founding Gramercy Cellars, Master Sommelier Greg Harrington spent his career managing wine programs for top chefs such as Joyce Goldstein, Emeril Lagasse and Wolfgang Puck. Since becoming the youngest American to pass the Master Sommelier Exam at the age of 26, Greg has been passionate about someday making his own wine. His Washington odyssey began in the spring of 2004, at a backyard picnic in Brooklyn, hosted by the Walla Walla Wine Alliance. There, Greg and his wife, Pam, tasted wines that surprised them. They were very different from what they had come to expect from American wines. These were wines that displayed earthy characteristics and balance. 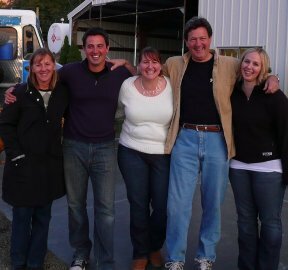 A marathon tasting trip in Walla Walla later that spring (and Pam’s discovery of the term “palate fatigue”) convinced them that Walla Walla was in their future. First, this meant “when they retire.” That quickly became “5 years from now.” Meanwhile, Greg worked harvest in 2004 in Walla Walla and was more convinced than ever that Walla Walla was the place in the United States to make the wines he loves. Soon thereafter, Pam gave him the green light to leave his restaurant industry job to seize the opportunity to finally follow his dreams full time, resulting in Gramercy’s first harvest in 2005. Gramercy is at one with their terrior, they make unbelievable wine. Washington State wine country has warm sunny summers and cold frosty winters. One time-honored practice to protect grape vines from damaging cold is to bury low-growing vine canes. These buried canes can be unearthed after winter freezes pass, assuring a grape harvest in the following season. Cool climate vineyards produce wines with plenty of natural acidity and balance. This Chardonnay has crisp apple and melon fruit flavors, a touch of citrus, and balanced oak-spice and butter notes. The 2009 Buried Cane Chardonnay is 100% varietal and is blended from two distinctive vineyards. It’s 95% Arete Vineyard from the Columbia Valley AVA and 5% Champoux Vineyard, from the Horse Heaven Hills AVA. The Arete Vineyard, planted in 1985, straddles Radar Hill near Othello, Washington. It’s a very cool site. This area is noted for producing wines which are delicate and fruity in nature; Chardonnay excels here. The Champoux Vineyard was planted in the late 1970s and early 1980s. Paul Champoux began managing the vineyard in 1989 and has consistently worked to improve quality in his 170 acre site. The vineyard has 16 acres of Chardonnay, along with numerous other varieties. The finished wine is light yellow in color, with a lime-green tinge. The nose shows distinct Chardonnay character, but with plenty of cool-climate focus. Green apple and macadamia nut aromas dominate the nose, with creamy citrus backnotes. They all combine to make an almost apple-pie aroma. 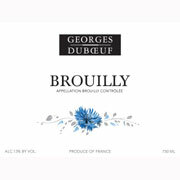 The wine is bright and zingy on the palate, with green-apple flavors and crisp acidity. It finishes clean and refreshing, with supple texture. Since their arrival, several things have changed at Arbor Crest. The tasting room moved from the garage to a beautiful new facility built on the estate in 2003, and a second tasting room was opened in Downtown Spokane’s River Park Square Mall. Furthermore, both the level of production and selection of varietals has expanded, and Arbor Crest wines can now be found on store shelves around the world. Anne-Marie Liégeois was born in Champagne, France, in a small village near the beautiful medieval town of Troyes. Her upbringing was very much routed in traditional French culture where work and French formalities took priority over idealism. Within the confines of a “maison bourgeoise” surrounded by organically cultivated gardens and edible game, three generations of family lived and worked side by side for the greater good of name and property. The Dupont-Liégeois family business prospered, the rewards of which were the enjoyment of traditional French life focused around the dinner table. Interesting animated discussions, traditional home cooked meals, and wonderful local wines were the norm. What Anne-Marie was accustomed to, Tom would desire. Tom was born in Richland, Washington State, a government conceived engineering town for the nuclear sciences. He is the product of a traditional American home of strong work ethics steered by the Department of Energy’s demands on his apple and dairy-farm-raised father. A firm hand, the pursuit of sports, and the focus of fast eating were typical life patterns for the young American. The eastern Washington State surroundings of shrub and sand—his terroir—carved a lifestyle of Americana most would find uninspiring at best. However, rigid European customs did not bind him down, as they did for Anne-Marie. The American sixties allowed Tom to rebel, to free his mind, to act on impulse with minimal consequence, something Anne-Marie must have desired during her year at a Parisian finishing school for women. Ten years after their wedding, an opportunity to become entrepreneurs seemed like a positive move to economic independence, contrasting from the previous decade of working for large multinational agricultural firms. In 1986, this unique opportunity presented itself; Tom and Anne-Marie created an export company called American Wine Trade, Inc., based out of Kirkland, Washington State; they began selling wine to foreign importers. As the company grew, it began to source Washington wines for a larger clientele leading to the establishment of a negociant-inspired wine called Hedges Cellars. This 1987 blend of Cabernet Sauvignon and Merlot was sold to the Swedish Wine and Spirit Monopoly, Vin & Sprit Centralen, the company’s first major client. Tom and Anne-Marie quickly learned that the success of this ancient trade would be based on the site of its vineyards. This concept resonates strongly in Europe, but to less effect in the new world wine regions, where land is less important than brands. Three hours south east of Seattle an opportunity presented itself in a developing wine region called Red Mountain. Tom and Anne-Marie, as new owners, felt its potential for greatness. At this location, American Wine Trade transformed itself from negociant and wine trader to the classic model of a wine estate. Today, this biodynimacally-farmed Red Mountain property continues to be the fundament of the Hedges family. Authentic wine estates must live on for centuries to achieve acceptance amongst the world great properties. The second generation has begun to make its mark at Hedges Family Estate. Tom and Anne-Marie’s children, Christophe and Sarah, are now involved in the business, and each has a special set of skills for understanding the terroir. Sarah prefers the fermentation arts, skillfully touching and understanding the world of the microbial spectrum. As the assistant winemaker under master fermentation artist, Pete Hedges (younger sibling of Tom), she carefully observes the forging of a great wine vintage after vintage. Pete, a man of the cloth of science, is open to nature’s will. He must work in tandem with the disparate concept of terroir and chemistry. Indeed, it is a dance of patience and of mind, which works to allow the terroir a path to geographic typicity. The eldest of the two, Christophe, spends much of his time sharing knowledge of the terroir and the estate during his travels as national director of sales and marketing. To ground his teachings, he farms his own property using the concept of modern Biodynamic arts, carefully observed under the eyes of John Gomez, Hedges Family Estate vineyard manager. An artist at heart, the Hedges labels are the product of his love for design. Tom, Anne-Marie, Christophe, Sarah, and the entire Hedges company believe place of origin is the keystone of authenticity. Our goal is to treat our wines with reverence and let the Red Mountain terroir speak for itself.